Robinson Construction recently earned the American Institute of Steel Construction (AISC) Quality Management Systems (QMS) Certification for structural steel erection with endorsements for seismic and metal desk installation. The AISC QMS Certification sets the quality standard for the structural steel industry and is the most widely recognized national quality certification program for the industry. To become certified, companies go through a rigorous initial evaluation and are subject to annual reviews. The evaluations require a comprehensive administrative review, documentation audit, and on-site audit to evaluate a company’s quality management system rather than just specific product inspection. 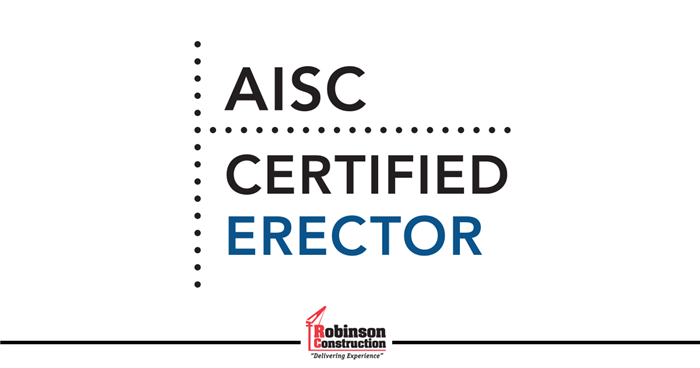 The program focuses on the entire process of fabrication and erection – confirming that a company has the personnel, organization, experience, procedures, knowledge, equipment, and commitment to meet the AISC Standards. Robinson Construction Company is pleased to announce the recent addition of a new employee at their main office in Perryville, Missouri. 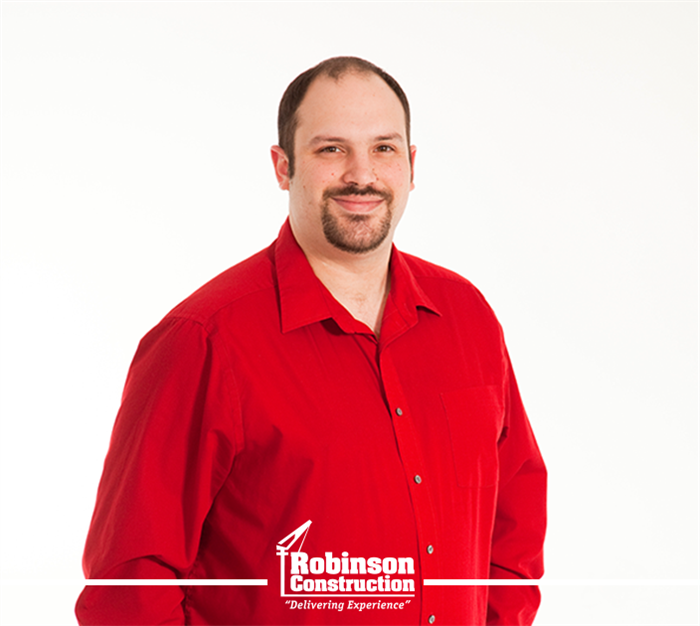 Kellan Comte has joined Robinson Construction as an estimator. 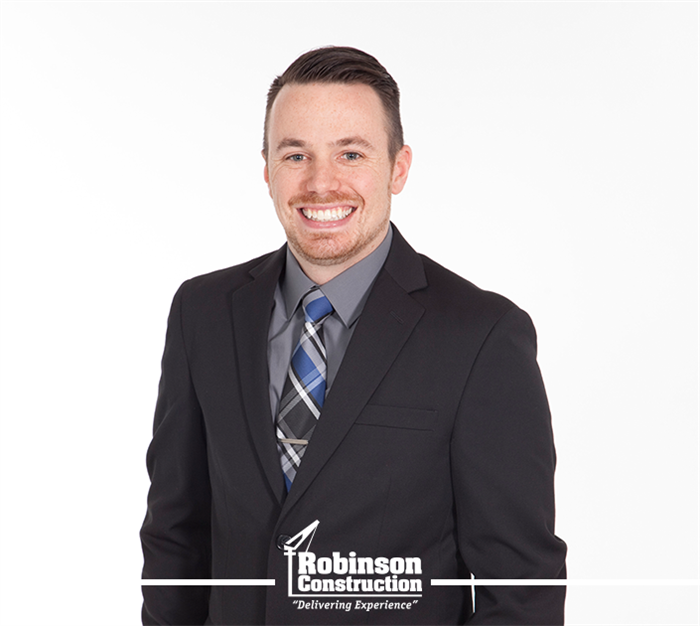 In this role, Kellan is responsible for preparing the cost of estimates and completing the bidding documents for projects that Robinson pursues. Kellan is from Perryville, Missouri and has nearly 10 years' experience in estimating and managing construction projects in heavy civil construction. He earned a B.E. in Civil Engineering from Missouri University of Science and Technology. Kellan is also a Professional Engineer licensed in the State of Missouri. 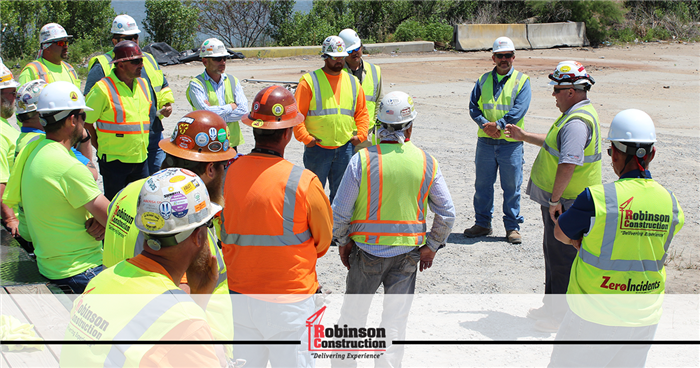 Prior to joining Robinson Construction, Kellan worked as a project manager for Millstone Weber, LLC. 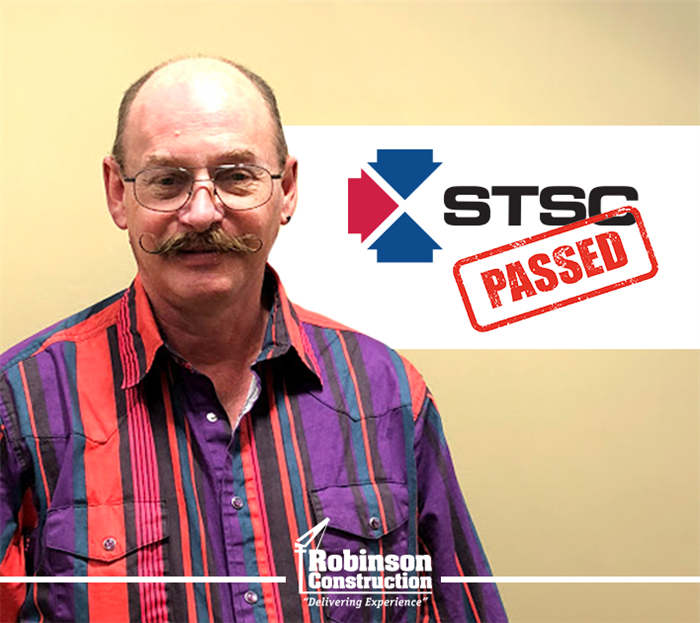 On-site Safety Representative Jim Oldham has completed the requirements for national certification as a Safety Trained Supervisor Construction (STSC). The Board of Certified Safety Professionals (BCSP) awards this certification to individuals who meet the rigorous experience and education requirements, including passing a comprehensive examination. The examination covers the body of knowledge supervisors must have to carry-out their safety-related supervisory responsibilities and includes subjects such as hazard recognition and analysis, personal protective equipment, regulatory compliance and incident investigations. The STSC certification is accredited by the National Commission for Certifying Agencies. Those who earn the STSC Certification are recognized as having met demanding, peer-established competency requirements in supervision. A STSC must recertify every five years to maintain this certification. The STSC certification program is operated by the Board of Certified Safety Professionals (BCSP). Established in 1969, BCSP has nationally recognized credentials in the safety, health, and environment accredited professional and para-professional certifications. The BCSP is located in Champaign, Illinois. Lisa Lukefahr has joined Robinson Construction as a document control specialist. In this role, Lisa is responsible for review, distribution, and filing of all outgoing and incoming communications and construction documentation including preparing and processing of plans. 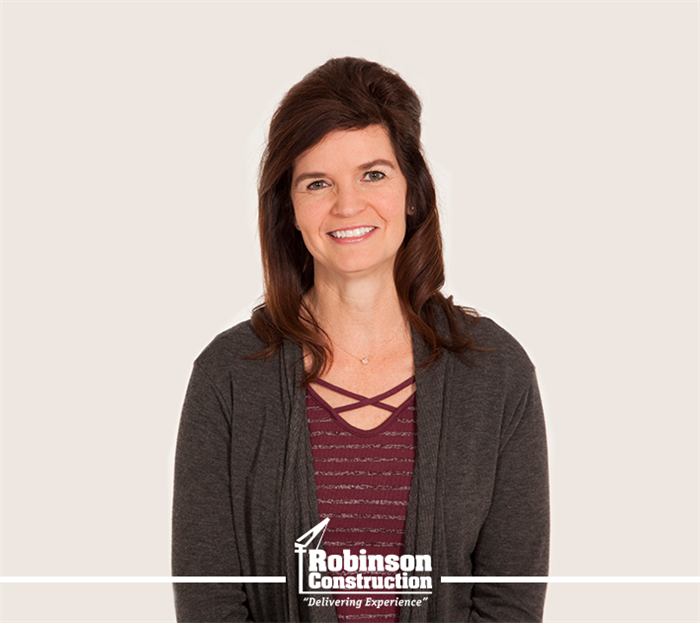 Prior to joining Robinson Construction, Lisa worked in the accounting office for CO-OP Service Center in Jackson, Missouri. 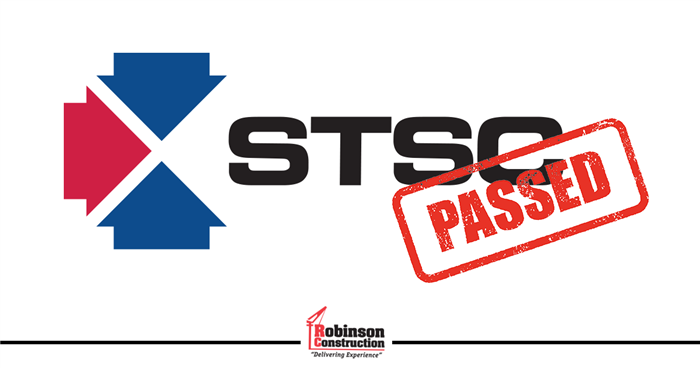 On-site Safety Representatives Sarah Pike and Donovan Tilk have completed the requirements for national certification as a Safety Trained Supervisor Construction (STSC). The Board of Certified Safety Professionals (BCSP) awards this certification to individuals who meet the rigorous experience and education requirements, including passing a comprehensive examination. The examination covers the body of knowledge supervisors must have to carry-out their safety-related supervisory responsibilities and includes subjects such as hazard recognition and analysis, personal protective equipment, regulatory compliance and incident investigations. Melissa Brown joins Robinson Construction as a Preconstruction Assistant. In this position, Melissa will assist with the company’s estimating and procurement efforts by providing support to the Estimating Department with solicitations, procurement activities, and as liaison between Robinson, subcontractors, and vendors. Melissa is originally from St. Louis, Missouri and earned an Associate Degree in Business Management and Administration from Patricia Stevens College. 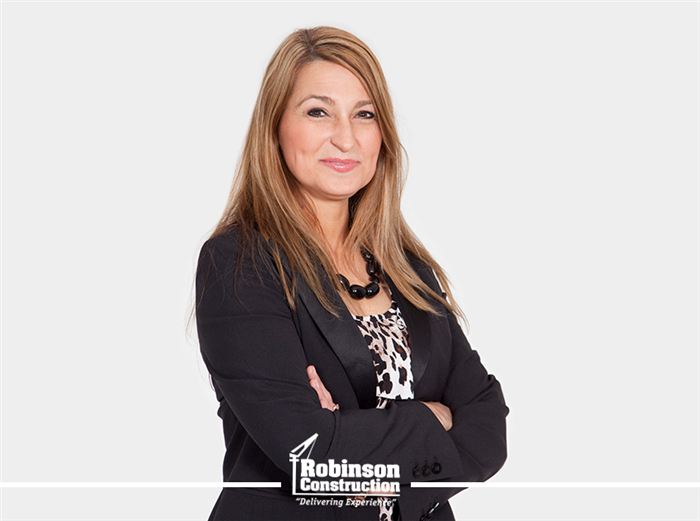 She brings with her 15+ years’ experience in office administrative and construction management support. 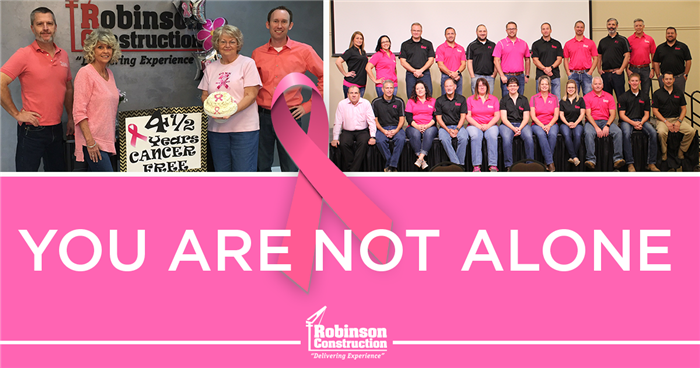 See what's happening at Robinson Construction in our latest newsletter! 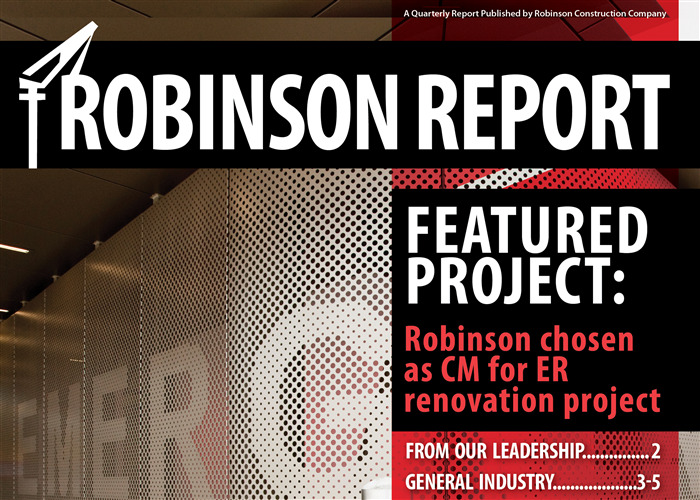 Please enjoy the latest issue of our company newsletter - the Robinson Report! Many people around the world are using October as a time to reflect and bring awareness to Breast Cancer. According to breastcancer.org, about 1 in 8 women will develop invasive breast cancer over the course of their lifetime. We can all probably list five people we know who have had this evil disease at one point in their life. It is also the most common cancer among women and is the second leading cause of cancer deaths according to Centers for Disease Control and Prevention. Several organizations are devoted to finding a cure for cancer including Breast Cancer Prevention Partners, Breast Cancer Research Foundation, Cancer Research Institute, and the American Cancer Society, just to name a few. Going back to the alarming 1 in 8 women statistic, we would like to highlight our very own Teresa Pulley, who is a breast cancer survivor. Teresa is the office manager at our Kentucky office and has been employed with Robinson since 2006. She was diagnosed with breast cancer in 2013 and announced she was cancer free in 2014. One charitable organization that Teresa says has helped her and her family tremendously from the time she was diagnosed is the American Cancer Society. “They provided much needed literature to keep me informed about what to expect, side effects, and local support groups,” said Teresa. She also mentioned that the Brown Cancer Center in Louisville, Kentucky has a section specifically for women who have lost (or will lose) their hair. “They provide free wigs, scarves, head wraps, and hats, as well as classes for other self-image issues such as make-up and clothing, which really helps with the mental aspect of dealing with cancer.” Teresa is proud to announce that today she is 4 ½ years cancer free! Cancer, no matter the type, is an evil disease, so today and every day, we remember those who have been diagnosed, those who have survived, and those who have lost their battle. Andrew DeClue, IT Assistant, recently completed the A+ Certification, which demonstrates proficiency with computer hardware and operating systems. Andrew was required to demonstrate his knowledge by passing an examination on several IT related topics, as well as installing and configuring multiple types of operating systems. The exam also addresses security, the fundamentals of cloud computing, and operational procedures. ISN helps connect qualified contractors and suppliers with Hiring Clients around the globe. They collect self-reported information from contractors and suppliers based on regulatory and Hiring Client-specific requirements, and maintain it in one centralized platform. ISN’s Review and Verification Services (RAVS) Team reviews this self-reported information against Hiring Client standards and applicable regulatory requirements. The information is consolidated in ISNetworld, helping Hiring Clients connect with safe, qualified contractors and improve workplace safety around the globe. Get all the latest news & exclusive content straight to your inbox.